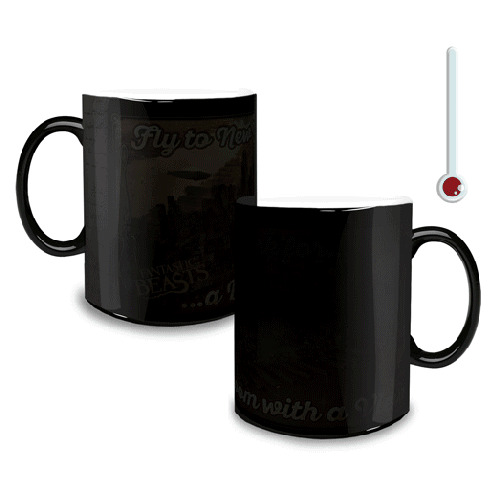 Enjoy a witch's flight panorama of 1926 New York City with this amazing 11-ounce ceramic Fantastic Beasts Broom with a View Morphing Mug that miraculously transforms from plain black to full-color images and the words "Fly to New York for… a Broom with a View" when you add a hot liquid! Do not microwave. Hand wash only. Not dishwasher safe. Ages 13 and up.